In my previous blog, I talked about your role in labour as being twofold. First, you are your partner’s ‘protector’ but secondly, and just as crucially, you have a role as her ‘advocate’. So what do I mean by advocate? In all things relating to labour and birth, you need to sit down together and talk things through. Look at what choices you might be presented with. Discuss induction, if it is offered, do you want to be induced? If not, what do you want to do instead? If you are offered induction, what methods are you willing to use? What about pain relief? Do you feel strongly about it? What types of pain relief are you willing to use if needed? What are you dead against, if any? You should try and look at as many possible outcomes as possible, although you don’t need to discuss them all in depth and over analyse! Communicate and reach a decision which you both feel comfortable with. I suggest you write a birth plan detailing these preferences, you can give a copy to your midwife in labour, so she knows in advance what kind of birth you would like her to help facilitate. It is also for your own benefit, having a copy you can refer to in the heat of the moment can be helpful. You should both be happy with your decisions, but if you cannot agree, then (sorry guys) your partners wishes come first. You have to accept this, and still advocate her wishes regardless of your own feelings. A true advocate always puts forward the viewpoint of the person they are advocating for, regardless of their own feelings on the matter. It is also crucial for the birth process that your partner has complete trust that you will honour her wishes. Preparation here is the key to successfully advocating on behalf of your partner. Firstly, you can use your advocate role in conjunction with your protector role. Most women when labouring, in the right environment, will zone out. During contractions they will almost go in to themselves and be focused on what they are doing. You need to protect that state. NOBODY, not you, not the midwife, no one should ask her a question during contraction. If anyone does ask her a question, you will advocate for her, NOT by speaking on her behalf, but by gently asking the person to wait a moment and re ask the question when the contraction has passed. During labour, you partner may be offered pain relief or other interventions. Here, your role as her advocate is to ensure that the wishes that you have DISCUSSED are respected. Your partner during labour will be vulnerable, she will not generally feel in a position to argue or even refuse interventions she doesn’t want, this will be YOUR job. You will need to explain on her behalf her choices, you need ensure these are respected and she isn’t pressured in to anything you or more importantly SHE isn’t comfortable with. This role does not end with the birth of your child, once your child is born you will be advocating on your partners wishes regarding the third stage of labour. If your partner has decided to have unassisted third stage, one of you needs to let the midwife know. If you see that injection being prepared without having been asked (rare, but I have known cases where this was the case) you may need to physically get in the way of the injection, until you explain she doesn’t want it! You will have some decisions to make regarding, chord cutting, injections, examinations. You should also be aware of these choices, discuss them beforehand, and then ensure those decisions made on behalf of your partner AND baby are respected. Both your roles during labour can feel intimidating, but being prepared is the key. TALK about the choices and possibilities beforehand. It is very difficult to advocate for someone, when you do not know what their preferences are. I will also be writing about two key tools to use in your role in later pieces. So please, keep coming back for updates or subscribe to the blog RSS feed so you don’t miss them. 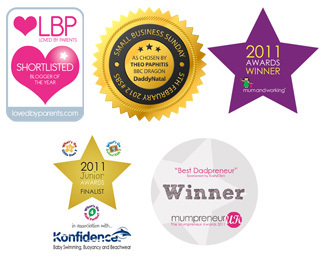 Better still book yourself onto a DaddyNatal course and learn all these tools first hand! What can dad do during birth? This is the question I am probably asked the most, normally followed with a comment such as “apart from hold mum’s hand” or worse “keep out of the way!” These comments couldn’t be further from the truth… dads can do so much during labour and really make a difference. Unfortunately no, we cannot guarantee everything will go to plan, we cannot wave a magic wand and no, we definitely can’t swap places! So again, what can dad do during birth? Dads role in labour is really only about two things… So dads listen up, understand your role, prepare for your role and really support you partner! Yep, you get to be her knight in shining armour! But what are you protecting? Everything with regard to being her protector stems from one key factor, adrenalin. In my piece “men at birth” I explain about fear. Birth professionals the world over will agree, adrenalin is an enemy in labour… adrenalin can stall labour, make labour more painful and longer. Your role as a protector is about protecting your partner’s environment and recognising anything that may cause fear, and get that adrenalin pumping around her body. What in this room could cause apprehension or fear in your partner? Simple, just about everything! Even the clock on the wall can cause both of you to watch time pass and worry how long it is taking. Then how about the blood pressure band hanging behind the bed. What about the alarm call button or the baby station? Maybe the IV tree sitting just at head of bed? All of these things can evoke anxiety in either of you, which can start the process of adrenalin production. Simply by recognising these things can cause anxiety is first step. Now you are aware you can talk about them, understand them and accept that they are there not for you but simply because they are always there. If you spot something in your partners eye line you feel may cause a problem, move it! Think about how you can take the emphasis of the medicalised delivery room, with dimmed lights, music playing, etc. So these are tangibles that you can spot and deal with, but also think about the walk in to the hospital, checking in, being examined. Just actually walking in to the maternity suite can be scary, as it all becomes very real for both of you. Is it any surprise that the majority of women when arriving at hospital, will state that “typical, my contractions have slowed down”? That’s caused by that surge of adrenalin… So be aware, once you get there make your partner as comfortable as possible and the environment as relaxing as possible as quickly as possible. Reassure her and follow my labour dos and don’ts. OK, now what else was missing from the picture? Simple, people. So who will be in the room? Well, probably you, also the midwife. That will be the minimum, but depending on your circumstances there may be more. Do you need to protect you partner from the midwife? Absolutely! But no, before the outcry, not because the midwife is bad or dangerous! Your partner just needs to feel comfortable with her midwife. To keep adrenalin down, your partner needs to feel surrounded by people she can trust and feels relaxed with. Your role as protector does not stop there though… you also need to protect your partner against YOURSELF! During labour, your partners senses will be heightened, Mother Nature gave this as a gift to labouring women so that they can sense dangers around themselves, so they can protect themselves. During labour, your partner will sense any worries or tension coming from yourself, in a nutshell, she will smell your fear. If she senses you are afraid or worried, it will trigger her fear and thus her adrenalin. This is why YOU preparing for YOUR role during labour is so important. By being better prepared and informed, you will be calmer and more confident during labour and birth. So focus on her, keep reassuring, use that extended vocabulary you now have prepared. Overall, trust in both of your abilities and instincts. Simply by reading this you will be better prepared. Keep preparing, and allow yourselves to enjoy the experience, as it is a truly wonderful time when you meet your child for the first time. However, being your partners protector is only half of your role… my next blog will cover your other essential role – that of advocate.